1 - Conscious Chocolate - Wow this organic raw chocolate tasted amazing! It was so moreish, it was all gone before I had chance to use it in any recipes. But to be honest chocolate that tastes this good should be eaten just as it is! 2 - Tsingtao - This is the first recognised beer from China. It is a smooth and easy to drink pilsner. It was perfect for Chinese new year celebrations and was a lovely, refreshing ice cold drink. 3 - Amoy Ready Made Curry Sauce - To accompany the Tsingtao are these Asian inspired cooking sauces. I received a Malaysian Laska and a Thai Green Curry. I am planning a vegetable curry using these sauces. Keep an eye out for that recipe! 4 - Jordans Country Crisp - This breakfast cereal is a delicious start t the day. I consists of light, crunchy golden oat clusters with added fruit and nuts for extra goodness and flavour. 5 - Fit Fit - Fit Fit are clean fruit snacks that are made of fruit and nuts, They come in a handy disc shape which is ideal to put in your bag or pocket to snack on while out. 6 - ColdPress Juice - This Golden Delicious juice is such a refreshing drink. When making this juice it has been cold pressed instead of pasteurised this makes the juice taste fresher and helps to retain more of the fruits nutrients and vitamins. 7 - Clarks Carob Fruit Syrup - This natural sweetener has been a delicious addition to my kitchen. 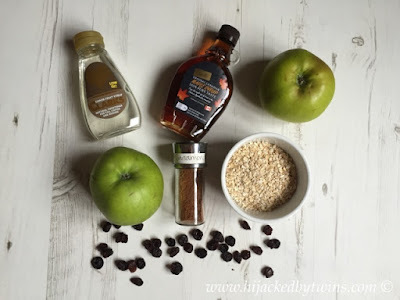 I have enjoyed this natural sweetener in my coffee and even used it in my Baked Apple and Oat Crumble. This naturally low GI (Glycaemic Index which measures the carbohydrate foods overall effect of blood glucose levels) is made by extracting the fruits from the Mediterranean Carob plant. It is vegetarian, vegan and diabetic approved. 8 - Finn Crisp - Finn Crisp are Nordic crisp breads which are made using wholegrain sour dough. They contain two sources of goodness. As it is made from wholegrain it is rich in fibre, vitamins, minerals and antioxidants and it is baked in sourdough which is low in fat and has a wonderfully crispy, tangy flavour. 9 - Slim Noodles - Slim Noodles are a super quick, way to enjoy slimming noodles. They contain just 9 calories per 100g. They are fat free, and gluten free and are designed to make you feel fuller for longer. 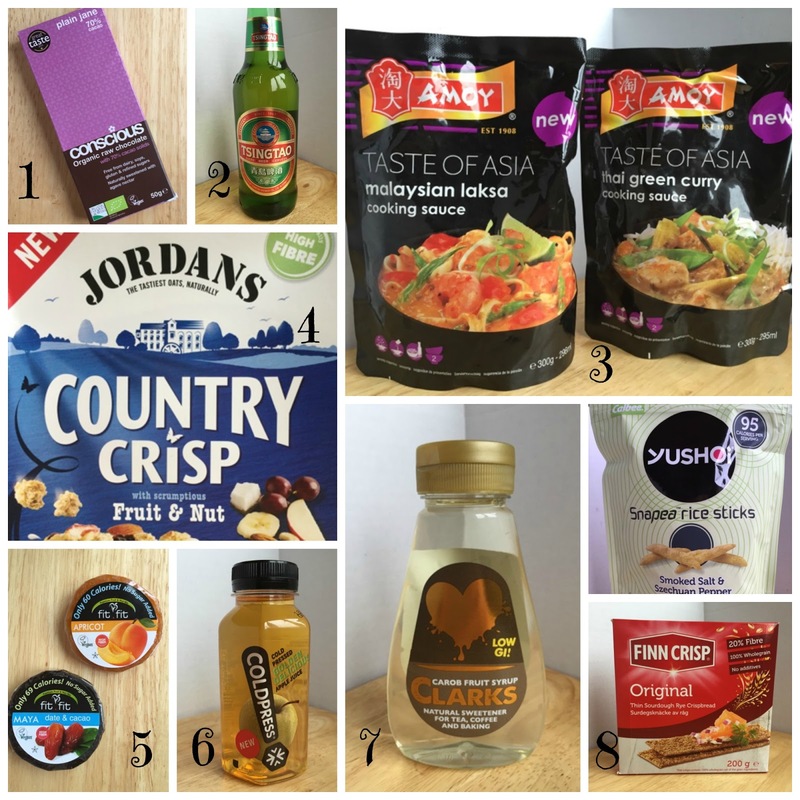 If you would like to try your own Degustabox you can save a whopping £6.00 off your first box simply by using the promotion code BLDEG15. If you do try one I would love to know what you think. We always enjoy receiving our box and discovering new foodie treats!